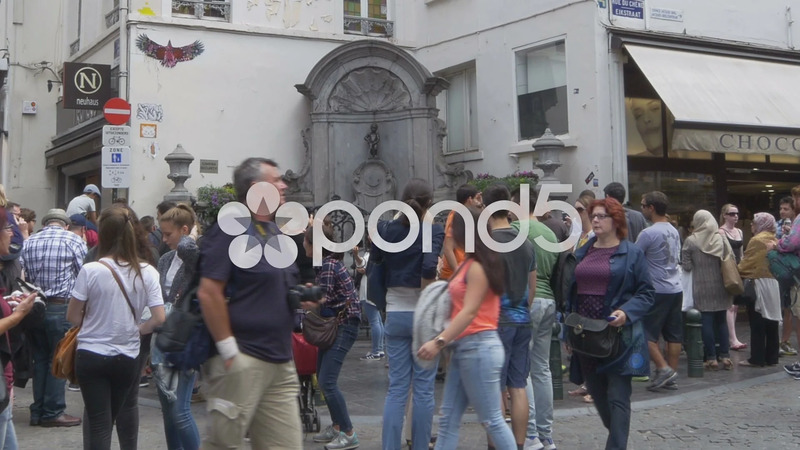 Description: Crowds of tourists gather around the iconic fountain called Manneken Pis. A small bronze statue of a boy peeing. This is one of the most famous sites in Brussels.